In this comparison we are going to assume we are buying a brand new vehicle, financing it at 0% interest ( not realistic but simplifies the math ), and we will have paid off the car in 5 years ( 60 months ). We will include the cost of the vehicle, the cost of auto insurance, and the cost of fuel. There are other factors such as tags, but we are going to assume that the car is in texas where everyone pays a flat rate for their tags( regardless of vehicle ). Those of you who live in a different state might want to run the numbers for yourself including the cost of tags each year. We also are going to assume we drive 1000 miles / month ( 12K annually ). Since the Volt will run off battery for the first 35 or so miles we are going to assume the car is only driven 50 miles / work day. My goal is be as fair as possible in this comparison. The Battery in the volt has a 16 kwh capacity. Only 65% of this capacity is accessible giving you 10.4 kwh of usable power. Even though you have 10.4 kwh of capacity, the volt consumes 12.9 kwh to charge it. This is due to heat losses through the inverter. The EPA has decided to base electric consumption estimates on how much energy it takes to charge the battery and not what the battery can actually store, which is good and fair. I am very happy they decided to go this route. GM claimed 40 Miles range on the battery, The EPA rates it at 35 Miles, but the actual real world numbers are more like 32 -38 Miles per charge. So how does eletricity compare to Gasoline? Well thanks to our Arab friends ( if we can call them that ), Gasoline is not cheap these days. However the price of electricity has dropped dramatically especially in states like Texas. Currently the price of a gallon of Regular Unleaded Gasoline runs about $3.50 in Houston. Obviously there is a huge benefit to running the volt on Electricity. 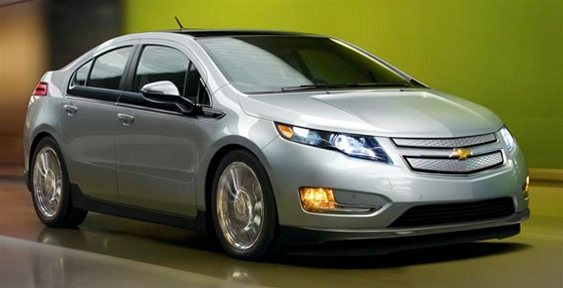 What about the upfront cost of the Volt? but if you are financing you still have to make payments on a $41,000 car, until tax time when uncle sam gives you your tax credit. 2011 Prius gets about 50 MPG. What about Car Insurance for the Volt? I went over to Esurance and ran a quote. for the record I am a 31 year old Male, with no claims and a clean driving record. I live in zip 77584, and I am married. So 70% of our miles will be on electricity, and 30% will be on gasoline. So after 5 years you would have spent $45,555.50 to drive a Chevy Volt. This includes the fact that you got $7500 back from the government in the form of a Tax Credit. While with the Prius you would have spent $33,945.63. This doesn't take into account the cost of tires, oil changes, or brake pads, and general maintenance. We assume they will be about equal between the two cars. Also with the Prius I was using the base model. If you added some of the fancy accessories this could add another $5,000 to $6,000 to the price. Finally, someone that broke it down the numbers. While I would rather by a Volt for the idea of telling the gas companies ot shove it up their "***", I make more sense to buy the prius. But what about the $ 7,500 that this car costs taxpayers in lost revenue? That will have to be made up in higher taxes somewhere else. My personal feelings are the government should not be issuing tax credits for anything. 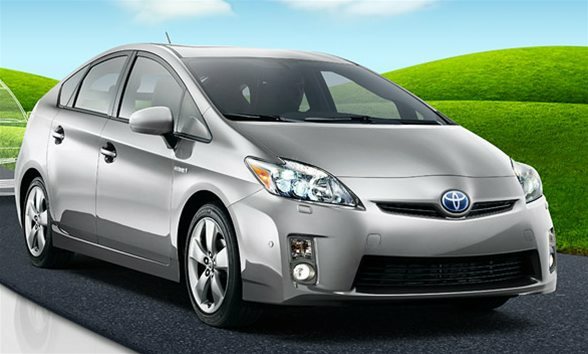 The Prius is an American car; that is, it is built upon American values. The Volt is a communist car built on totalitarian principles of Stalin or Hitler; take your pick. To me it is rather simple: anyone who buys anything (new or used) from GM is a traitor to the USA. There is really no other way to put it. I used to buy GM products but never again. I can not support any enterprise built upon goon squad thuggery and its total subversion of the rule of law. GM must die, the sooner the better. It is the undead living among us in a masquerade of life. Its executives talk about "market demand" as if there were a market for GM products - there is not and that is why GM died. Its imitation of life is supported only by thug unions and their whore in the White House. Shame on anyone for ever considering buying one of these POS GM golf carts, and that's all they are. My views are similar to your own. I am not for the government bailing out companies. If a company is poorly managed, and fails to respond to the market, then they should not be in business. Plenty of other companies will take the opportunity to fill the void left by a non existent GM. Even though I would never buy a Volt, what is even worse is GM is screwing their dealers to get VOLTS. I know this because my Father-in-Law owns a Chevy Dealership. He told me that GM makes their dealers pay an $80K fee just for the right to sell the VOLT. Then they are also required to send their mechanics off for additional service training that is specific to the VOLT, and stock parts and tools that are specific to the VOLT. He said the upfront costs are about $250K, just to sell the VOLT. What makes it worse is he said the profits for dealers are so low, that they would have to sell hundreds of VOLTS just to make back the initial investment. Considering all that I fully understand why he doesn't want to sell the VOLT. GM nickle and dime's their dealers, rather than support them. My feelings on anything GM makes that is electric or hybrid, are I want to see how its running at 200,000 and 300,000 miles. I have an uncle who has a 2002 Prius with over 200,000 miles on it. Still runs strong, and still on the same Battery. GM still has a chance, but they are going to have to prove themselves over the next 10 years.